We've not had a great week this week with a lot of family stress and plenty of worry but we got to spend an evening at the theatre with the boys to take our minds off it all. 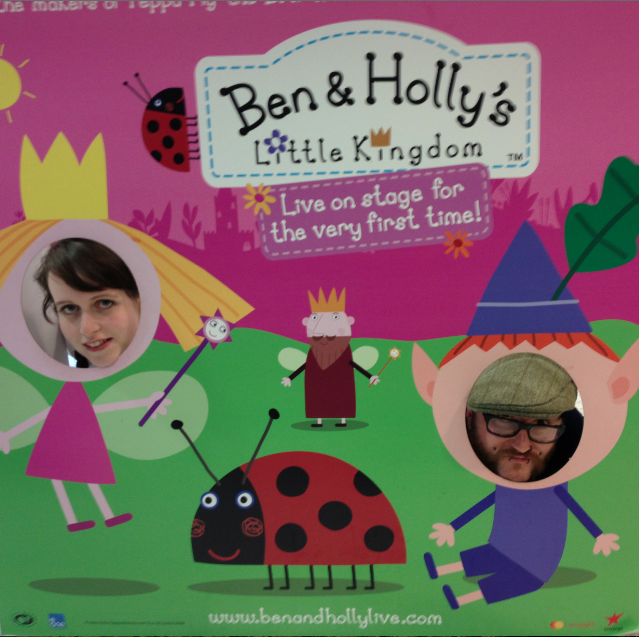 We had tickets to go and see Ben & Holly Live and if I'm honest me and Mrs M were just as excited as the boys. It was a bit of a rush to make our 4.30 showing in Shrewsbury after picking Seth up from school and then Mrs M from work but we managed to get there with just enough time to pop to the loo. I really didn't know what to expect of a theatre production of the show and if I'm completely honest, after taking Seth the year before last to see Batman Live (which really wasn't cheap) and being quite disappointed I wasn't expecting to much. I shouldn't have been so pessimistic though it was a great show for children and although I thought Seth may have felt he was a bit to much of a big boy for it both boys were hooked. Opeie, being a big fan of the show was in his element. What I loved about the show (unlike batman live) was there were no cringe worthy bits where they tried to do some special effects, it was a small stage and they used what they had in the way of props and stage set excellently making the most of every bit of space. The first half seemed to go really quick but that was great as I needed the loo and Opeie had spotted a Gaston the ladybird toy and Seth a Ben elf horn which they were desperate to get from the gift stall. After buying our souvenirs we headed back in for the second half, Mrs M was exhausted from work bless her. I loved that there was lots of audience participation and because it was a small venue it had a really nice atmosphere filled with excited children and a few even more excited parents. I wasn't sure Opeie would sit through it without getting fidgety but there was no need to worry he was great and really enjoyed it all. The show was on for approximately an hour which flew by so I was a little disappointed but after a long day of school for Seth, a busy work shift for Mrs M and a day in the sun playing for Opeie I think the timing worked out quite well (according to Mrs M all i do all day is spend my time high fiving Opeie, so i was fine). Seth asked me what my favourite part was and it had to be the Gaston they were using, whenever he needed to do something the cast pushed him along which I thought was cute (he kind of reminded me of a cuter K9 from Dr. Who). Seth loved the flying scene, Mrs M loved the way the fairy wings fluttered and Opeie, well I'd say he would find it difficult to chose one thing as he was completely in awe of the entire show. On the way out we bumped in to Seth's teacher who was there with her Niece so that was a nice way to end the evening. We had a great time with has got us looking at other up and coming shows like the 'In the night garden' show and the new 'Peppa Pig tour'. 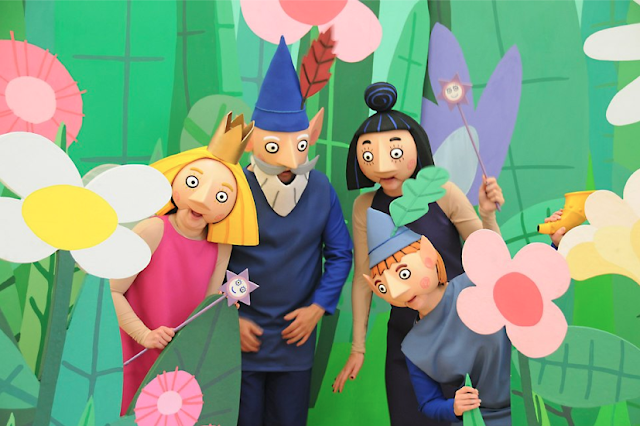 We would definitely recommend this show to anyone who loves the show or for children that enjoy going to the theatre.